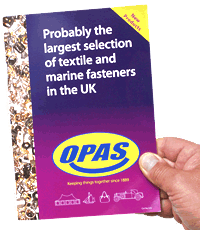 The Quotation Cart shows the OPAS products you have selected so far... the next step in getting a fast quotation is to update the quantity you wish to obtain a wholesale quote on. Simply change the quantity listed from 1 to how many you need. Needless to say the larger the quantity the better the price we will be able to offer. If you wish to ask for multiple quantities or have any other requests such as having a sample sent then you can add a note in the message box on the Query Form. You do not need to set up an online account to obtain a quotation but if you are a regular customer it might be worth registering to save you having to add your details each time you fill in your contact details. OPAS endeavour respond to quote requests either by return or within 90 minutes during our normal business hours which are Monday-Friday 09:00-17:00 (excluding Bank Holidays).